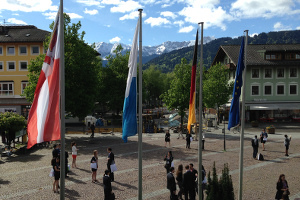 In May, participants from over 50 countries gathered for the G20 Youth Forum 2014 in the quaint Bavarian town of Garmisch-Partenkirchen. For the 9th time, this unique conference for young leaders was organized by the G8 & G20 Alumni Association. Founder and President Ksenia Khoruzhnikova once again created an outstanding program for this prestigious event, which I had the honour of moderating. With an opening speech by mayor of Garmisch-Partenkirchen, Dr. Sigrid Meierhofer, the conference started into its three day course of sharing and collating ideas on key issues such as the economy, the environment, human rights, education and technology through different platforms. 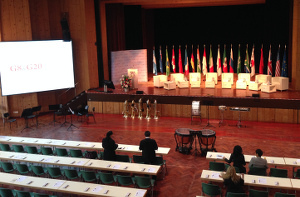 The conclusions of the G20 Youth Forum will be compiled and published in the Final Results document, which will be made available to the leaders of the G20, UN, the IMF and the World Bank.